Ultra Blotted Lip is a newly lauched range of lip stains from the house of Colourpop which remain out of stock forever. The brand created this line of lip colors inspired by the diffused, sheer lipstick trend that is currently ruling the beauty world. Yes, Popsicle stained lips, just-blotted lips are in craze right now and Colourpop hit the bull’s eye with this range. Result? Makeup fanatics from all over the world went crazy over. I love Colourpop products and seeing all the raved reviews I too wanted to give this range a try, but my bad, whenever I thought of ordering, the range remained out of stock. 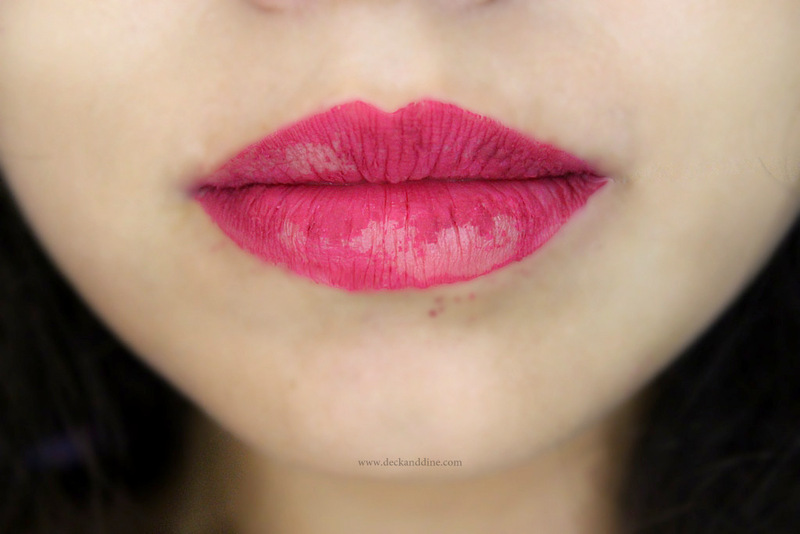 But finally, thanks to Samannita di, I got hold of my first ultra-blotted lip. It is in the shade Split. Sharing this berry is caring. The no-fuss normal cylindrical bottle with a silver cap which has a doe-foot applicator attached inside. Split is a mixture of magenta and berry color. It is stunning and looks incredible on Indian skin tone. Texture is smooth to apply and the formula is very light-weight. But it dries down to a very uncomfortable finish. It is powdery matte, which I completely dislike. Worst part? It wears off in the middle of my lips almost immediately. Yes, they wear off so horribly and that too within seconds of application. It leaves embarrassing patches all over your lips. They don't last through any eating or drinking whatsoever. The pigmentation is however great; it doesn't look like just a tint, But it doesn’t stay at all, so no worry of having full color instead of the sheer, Popsicle lip gimmick. And if you try to correct it by layering it up; then god save you. The flakes start moving to your chin, above your lips, etc. The lip color kind of peels off. See the picture below. This picture is taken just 5 minutes after application. 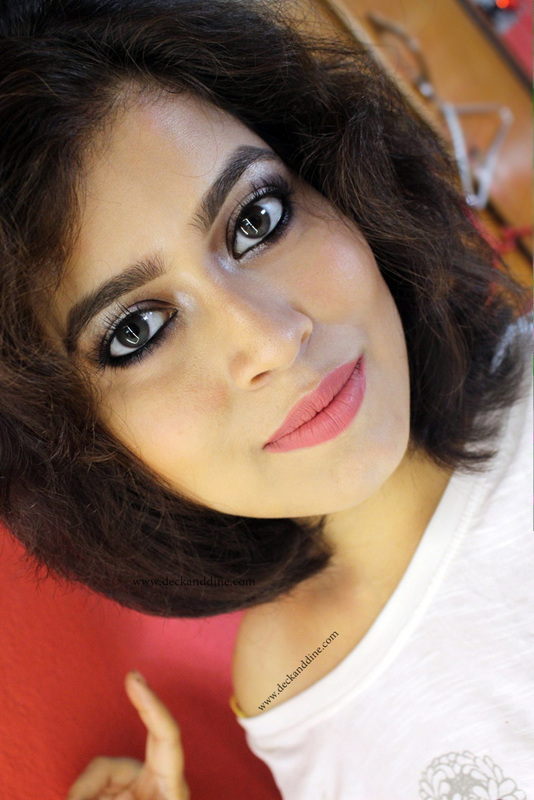 Great for people who love powdery matte finish. Feels very drying and uncomfortable on lips. I was so excited to try this. It looks so gorgeous when you apply, you just start to admire and that’s when the euphoric feeling evaporates and you are left with horrible looking, patchy lips. It looks terrible and so embarrassing. Even at $6 a piece I wouldn't risk buying any other shades. Wow, i love the shade of this lip color. I have not tried anything from Colorpop yet but this shade makes me want to try it. Thank you for swatches. I hate colourpop lip products. I made a big order falling into hype and was charges customs fee in the UK. The lip products are good shades but the formula is so drying specially for matte liquid lipsticks. The product dried in tube so quickly too. I think its the beautiful colors and low price that attracts everyone. Colourpop has always been on my ''to buy'' list, however never came to it, as the reviews are sooooo distributed from one extreem, such as loooving the product to the other - hate hate hate the product.. I am so confused, I think I should try it on my own, and decide for myself lol. thanks for sharing your thought! This is such a pretty shade though... :-) Thanks for sharing.